The Sikh Council for Interfaith Relations (SCIR) coordinated the Sikh participation and presentations at the 2015 Salt Lake City Parliament of the World’s Religions at which about 300 Sikhs attended from across the world. Task force members include over 20 Sikh representatives from Canada, US, Europe, India, and Australia. More than 75 concurrent Sikh panelist sessions are being presented at the Parliament with about over 15 Sikh sessions per day of the parliament. Sikh morning religious observances will be held Nov 2 to Nov 6 from 8am to 9am. For a complete list of Sikh programming, please email parliamentsikh@gmail.com. The Ontario Sikh and Gurdwara Council (OSGC) is taking the lead in organizing Guru ka Langar during lunchtime from Nov 2 to 6. Other Sikh communities from Canada and internationally are providing support for implementing the langar. Two Sikh exhibits will be highlighted at the PWR Toronto. The Sikh Heritage Museum of Canada will showcase its award winning Sikhs and Canada Timeline Exhibit. An Exhibit on Langar will be placed in the langar hall by OSGC in collaboration with Khalsa Aid. 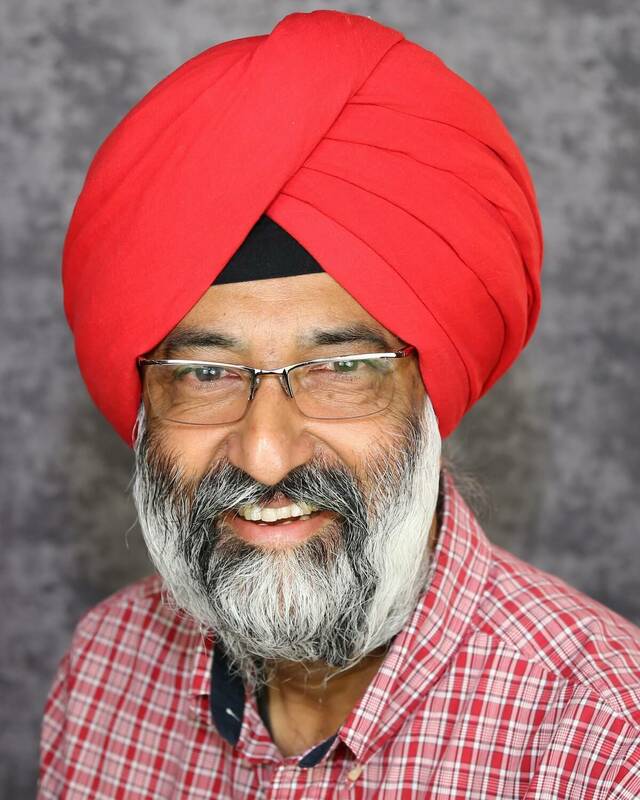 Vishvajit Singh, Founder of Sikh Toons, will be a part of the Interfaith Family Festival at the parliament and interact with attendees as Captain America. Exhibit booths are being planned by World Sikh Organization – Canada, American Sikh Council, and Sikh Council for Interfaith Relations. Current Sikh Trustees of the Parliament are Dr. Tarunjit Singh Butalia (Ohio, US), Dr. Manohar Singh Grewal (Vermont, US), and Dr. Sagina Kaur Hanjhra (Illinois, US). 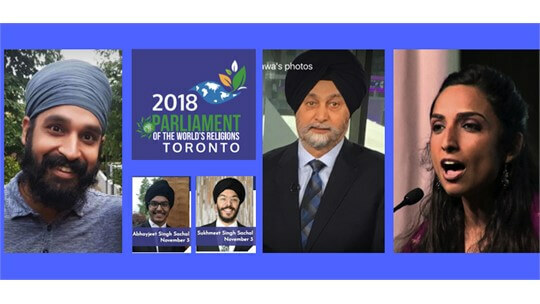 Please consider making a donation to help Sikh Participation at 2018 Parliament of World's Religions in Toronto reach its goal. A donation of any amount goes a long way to support the work being done. Thank you for empowering and fueling the work of the Sikh sangat!